This time of year might find you spending some time sledding down a hill, hitting the pond for a little ice skating, or even just shoveling the snow off your driveway. There’s nothing quite like returning to a warm house after spending a little time in the cold, all ruddy-cheeked and primed for a beverage. Hot chocolate is okay. Or plan ahead and have a hot beef roast and a bottle of Bordeaux waiting for you after coming in from the cold. 2010 was a stellar year in Saint-Estèphe and produced wines of exceptional balance. It was particularly dry and relatively hot with climate characteristics similar to the great Bordeaux vintages of 1929, 1945, 1947, 1959, 1961, and 1989. These are wines that will develop in the cellar for decades yet because the wines of Saint-Estèphe generally have a slightly higher percentage of Merlot in the blend, the hard, tannic edge of the Cabernet Sauvignon is somewhat mitigated in their youth. Point being – we wouldn’t chastise you for opening a bottle before 2030. We’ve certainly consumed a goodly share of 2010 Bordeaux ourselves already. Stop by the shop this Saturday for a taste of 2010 La Dame de Montrose, the second label of the second growth classified estate of Château Montrose. 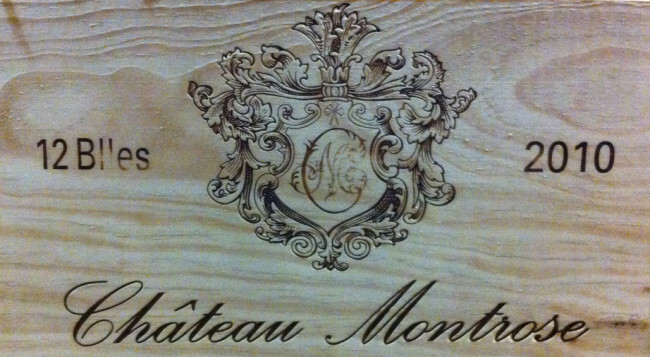 Château Montrose is a 95-hectare vineyard in one single block, unusual in the Medoc. Its name derives from the pink hue of the flowering heather covering the hillside near its location on gentle slopes of well-exposed gravel next to the Gironde, a vast body of water that helps regulate the impact of frost and blazing summer heat on the vineyard. 2010 La Dame de Montrose represents 36% of the production of Château Montrose and is a blend of 64% Cabernet Sauvignon and 36% Merlot. The fruit is hand-picked and sorted both in the vineyard and in the cellar. A famous wine pundit you’ve probably heard of is close to awarding Château Montrose’s first label wine a perfect score for the 2010 vintage, thus putting it out of reach of most drinkers. But you can still enjoy their second label, made with the same standards as the first label but ready for drinking a bit earlier. We’ll also uncork one or two other wines from the 2010 vintage of Saint-Estèphe for comparison. 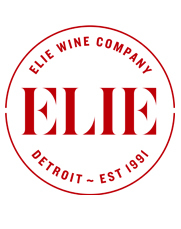 We will be open this Sunday from 12-5pm to take care of your last minute holiday wine needs.